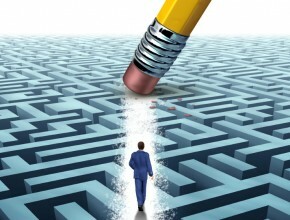 Companies committed to executing strategy are equipped with advantages over their competitors. Because managing strategically matters to the life of your business, our guide on the Benefits of Strategic Planning (on the right) will show you what you can gain from strategic planning and how it will improve your team’s results. Strategic planning ranked highest in a 2011 study of the 25 most popular management tools, as shown in the figure below (Bain & Company, “Management Tools & Trends 2011”). While forward-thinking companies once used strategic planning to develop long-range goals and stable growth, they now need it to effectively short-term plan. Strategic planning has become a vital tool in this business climate because it focuses an organization’s ability to respond successfully to changes and plan for sustainable viability. Additionally, companies that never thought of strategic planning—like small businesses and non-profits—are discovering they need to think about it in order to survive. Download our brief guide on the benefits of Strategic Planning featured on the left.